If you are a blogger, you might have already heard of Happiness Boutique! Since being introduced to this brand, I have also noticed a lot of other blog reviews on Happiness Boutique, which have all been very positive! In addition to reading the reviews, I also love seeing what other bloggers have picked as their favourite necklace! Happiness Boutique is an online jewellery store that stocks over hundreds of statement accessories! You can find anything from chandelier earrings, printed scarves to cuff bracelets on their site, but their most popular range of items has to be their stunning statement necklaces. In addition to free worldwide delivery, Happiness Boutique also has a reward program for loyal customers who write reviews on their site and share pictures of their purchases on social media. Basically, if you love statement jewellery and posting photos on Instagram/Facebook, then you’ll be accumulating points without even trying! Besides, your photo might even get featured on their website! I don’t wear accessories everyday, but when I do I prefer to go all out! The more extravagant the better! Hence, when I saw this Boho Bohemian Statement Necklace it caught my attention right away. I knew that I had to have it! Fortunately, the delivery time was really quick and I got the box within 5 days of placing the order. The box itself was adorable and it included a cute little message for me. I swooned before I even saw the necklace! 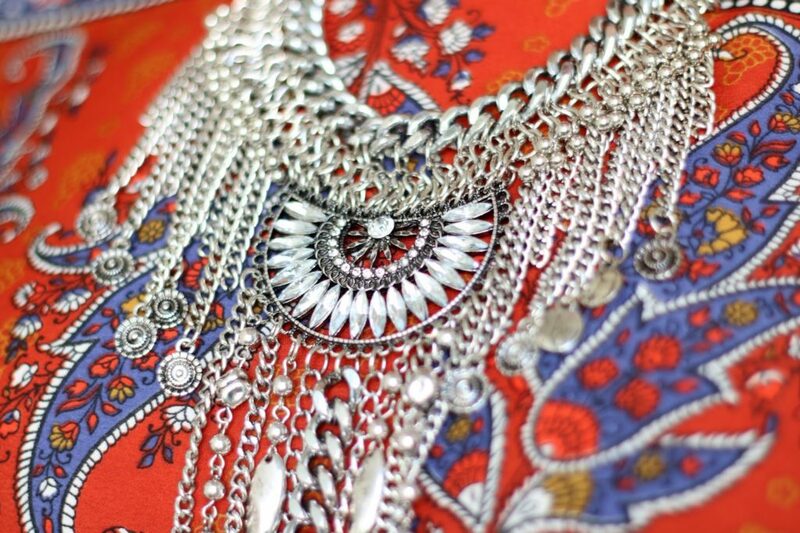 The style of this necklace is very vintage-like and wearing it makes me feel like a Bohemian princess! It goes really well with high neck tops, dresses and jumpers as well as low cut split tops or even swimwear! 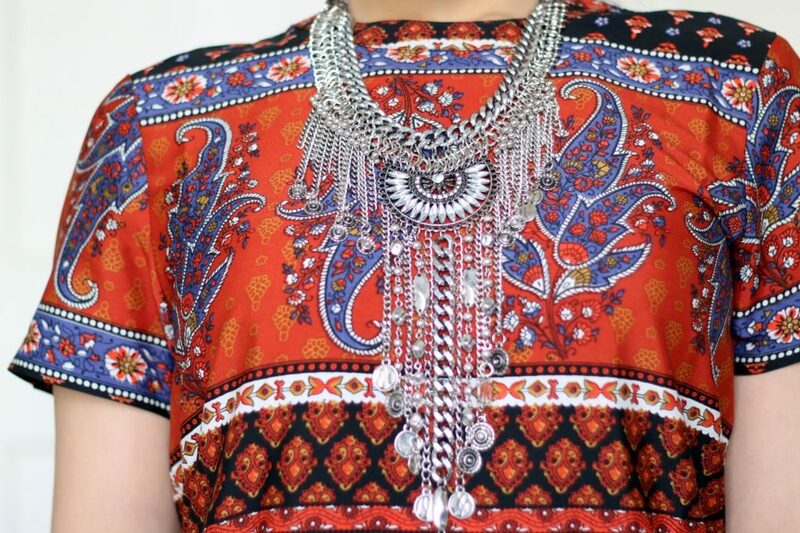 I opted for a high neck paisley dress as the style goes well with the necklace! Happy shopping at Happiness Boutique! *Disclaimer: This post contains PR products, but the views are my own. Previous Post Outfit for LFW: Hello Spring!